6: Oral history video excerpt, “An Assimilationist Impulse,” 2012. In this clip from the Yiddish Book Center’s Wexler Oral History Project, narrator Mark Gerstein remembers his family’s attempts to assimilate into mainstream (non-Jewish) American culture, and also his mother’s conflicted feelings about how this would look to other Jews. Suggested activity: Watch and discuss the video with students. Then have students interview each other about their experiences and memories of the December holidays. For a larger project, have students plan, conduct, and record an interview with a parent, grandparent, or other family member on the topic. Review and discuss the basic principles of oral history with students before they begin their interviews. For tips on how to conduct an oral history interview, visit this helpful page from the Library of Congress. Source: Mark Gerstein, interview by Christa Whitney (Wexler Oral History Project, July 5, 2012), https://www.youtube.com/watch?v=aDoFOXn5yoo. 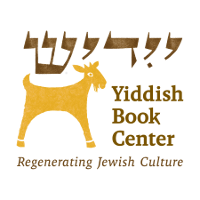 For the complete interview with Gerstein: http://www.yiddishbookcenter.org/oral-history/mark-gerstein.